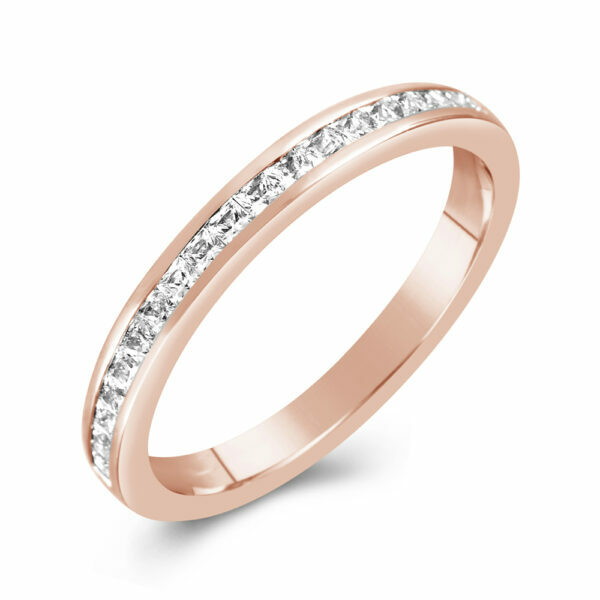 This beautiful, diamond set ring is available in white gold, rose gold yellow gold and platinum. 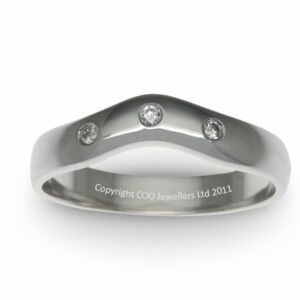 Part of COO’s exclusive ‘Lucy’ collection, it is a perfect complement to a wide range of engagement rings. 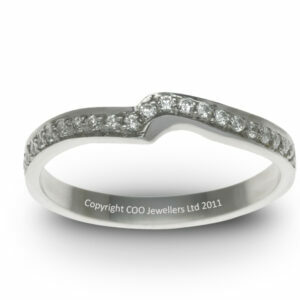 Contemporary princess cut channel-setting has no prongs to hold each stone in place. Instead the ring itself provides support delivering a very clean finish. Like all of our jewellery, the ‘Lucy’ collection is crafted to your exact finger size in London’s famous jewellery quarter, Hatton Garden. SKU: HP33. Categories: Classic eternity rings, Diamond set wedding rings, Eternity, Wedding. 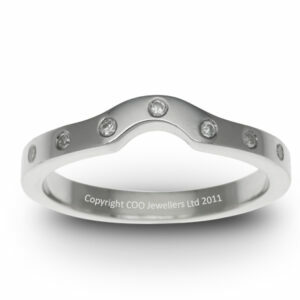 Tags: Diamond, Eternity, Wedding. Available from just £739 in yellow gold. The rings were perfect. Exactly what we wanted and fit perfectly. 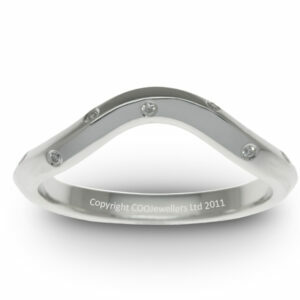 If there’s anyone who wants wedding rings I will recommend you.